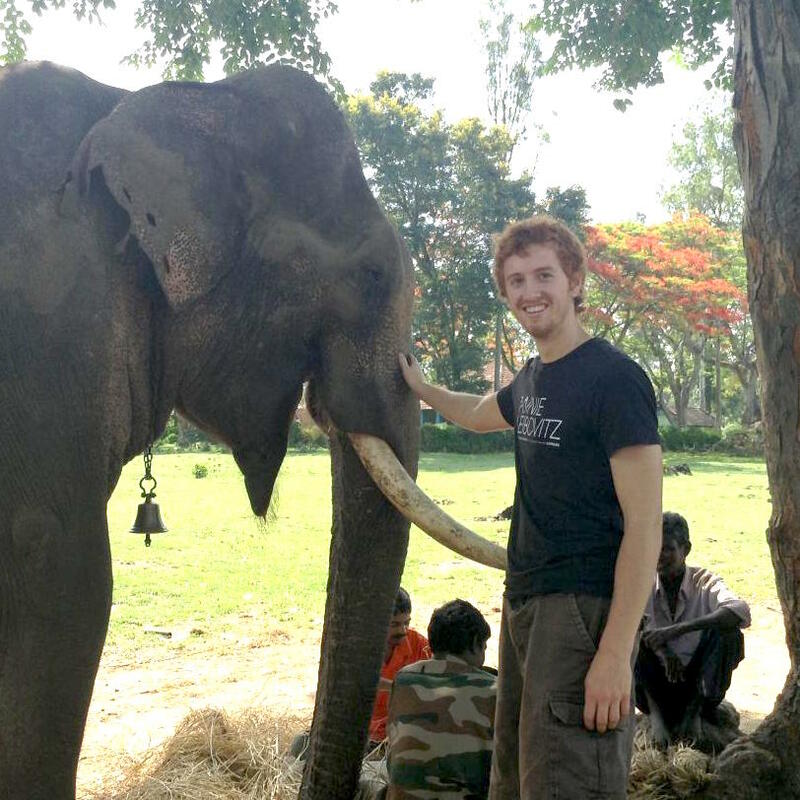 Mason Gauch traveled to India May Session 2013 to take part in the Public Health Perspectives - India study abroad program. As I finished my junior year I knew I had to study abroad at least once. It’s an opportunity so unique to college students that missing out would haunt me for years. The wide variety of study abroad options that OSU offers makes it easy to find the perfect match. For myself, I’ve always wanted to go to India. Its history and culture (not to mention the delicious food) have always interested me. I also have a bit of a humanitarian bent, which matches perfectly with the public health focus of my program. Studying abroad offered numerous advantages that are near impossible to reproduce. First, all living concerns are taken care of leaving only cultural immersion and education to occupy your time and energy. Not only this, but traveling the country with a program leader who is familiar with the country allows you to maximize the short amount of time you have. The program leader prioritized the things to do and see, and offered a wealth of cultural and historical knowledge essential to understanding a foreign country. Second, my program, like most others, contextualizes the experience of living in a different culture within an academic field. Some programs may place Paris in the field of Western art, or England with literature. Mine placed India’s culture and history within the field of public health. The academic focus in my case was awesome because India’s health concerns are apparent when walking down any given street. Traffic, pollution, unsanitary conditions, poverty, everything is out in the open and painfully obvious. Having the knowledge to understand why things are this way, what things are being done to fix them, and the obstacles to fixing them are tremendously valuable. It’s a value that can’t be easily reproduced apart from study abroad.